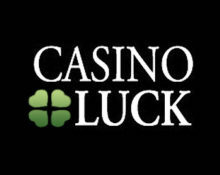 Casino Luck – Hidden Gems Promo! Discover hidden treats and treasures! Get ready for three days to re-discover some classic but entertaining slots at Casino Luck which are somewhat hidden gems as they can produce super mega wins on any spin. At the same time, enjoy some great bonuses and tons of Free Spins. Slots involved are Steam Tower, Jurassic Park and Reel Bandits. Not yet trying your luck at Casino Luck? Then sign-up now and enjoy their generous €/$/£ 300 Welcome Package with 100% Welcome Bonus, up to €/$/£ 150, and 150 Free Spins on Starburst™for the first deposit and a 50% Reload Bonus, up to €/$/£ 150, for the second deposit. Yet another weekly promotion from the crew at Casino Luck that will reward all players taking part. Play at Casino Luck from 18th to 20th July 2017 and you can claim a daily offer for Free Spins or wager bonuses. Qualifying deposits and game play varies. The Free Spins winnings and Bonuses carry a 50x wagering requirement. Casino Luck Bonus Terms and Conditions apply, read them carefully as they have changed since their platform transition. Launched in 2011, the casino is owned by the acclaimed Minotauro Media Ltd and starting May 2017 is operated on the Aspire Global International LTD platform under MGA Malta and UK Gambling Commission licenses. On offer are a huge 1,000+ games on desktop, mobile and tablet from Netent, Microgaming, Amaya, Betsoft, Elk Studios, Fantasma Games, NYX Interactive, NeoGames, Quickspin, Play’n Go, WMS and ISoftBet while the LIVE Casino tables are provided by Netent Live and Microgaming. An extensive range of currencies and payment methods such as Visa, MasterCard, Maestro, Solo, Instant Banking, Neteller, Skrill, Ecopayz, Entropay, Zimpler, Poli, Paysafe Card, Bank Transfer ensure fast and secure withdrawals. The site is available in English, German, Finnish, French, Norwegian and Swedish languages and customer support is provided via Email and Live Chat, however during day time only. All British Casino – Advent Calendar | Week 3! 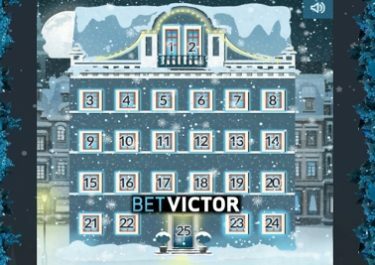 BetVictor – Christmas Calendar | Week 3!